Eric Hamelback is the CEO of the National Horsemen's Benevolent and Protective Association. He is the former general manager of Frank Stronach’s Adena Springs Farm and resides in Paris, Ky. with his wife Debra and two children. He is originally from Frierson, Louisiana and he attended Louisiana State University. Eric graduated in 1993 with a Bachelor of Science in Animal Systems. He and his family moved to Paris Kentucky in 2008 after living in the Versailles/Midway Kentucky area for 8 years and then in Ocala Florida for 5 years. As CEO of the National HBPA, Eric serves as representative for the largest horsemen’s group in North America. Currently he represents the National HBPA and its member horsemen on several of industry boards. 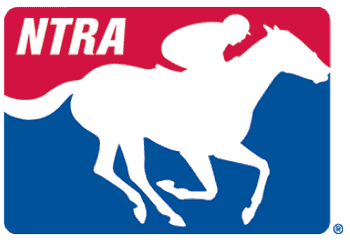 Those industry boards include the American Horse Council Racing Committee, the unWanted Horse Council Education Committee, the RMTC, the NTRA Safety Alliance, the Racing Officials Accreditation Program, as well as the Racing Commissioners International. Eric began his professional career with Prestonwood Farm in Versailles, as yearling manager after leaving Louisiana in 1994. In 1997, he was offered a position at Adena Springs as the yearling manager under then, General Manager, Dan Hall. Eric was promoted to assistant farm manager in 1998. In 2002 he was named general manager at Live Oak Stud in Ocala, Florida where he remained until 2005. In 2006 Eric was asked to return to the Adena Springs operation, this time at the operation’s facility located Florida where he remained until 2008. Then in 2008, he was relocated by owner Frank Stronach back to Kentucky for the Adena Springs operations facility built in Paris, Kentucky. He remained with the Adena Springs operation and Frank Stronach until the end of 2014. Both Eric and his wife Debra, who is the Paris-Bourbon County Chamber of Commerce Director, are active in their community, both through school system, community service, service through city government, and through youth sports programs. Eric is and remains an avid sports fan. During his high school football career in Louisiana he was an All-State linebacker his junior and senior years before a back injury forced him to forgo a football scholarship for college. After moving to Kentucky, Eric began to pursue another passion, polo. He played armature polo for 11 years, both in Kentucky and Florida, rising to a 1 goal handicap before suffering an injury which forced him to the sidelines from that passion as well. Currently, Eric is a member of the Kentucky Thoroughbred Farm Managers Club, serving as a board member from 1997 through 2001, and club President in 2002, additionally he was a member of the United States Polo Association during his active playing days from 1995 until 2006. Eric also has served until August of 2016 on the Board of Directors for Thoroughbred Owners and Breeders Association. He is also member of the Thoroughbred Club of America, and is an active Rotarian in the Bourbon County Rotary Club.